Mix sage, salt and pepper in a small bowl. Layer 1/3 of the potatoes and ½ of the onion in a lightly greased 13 x 9-in baking dish. Sprinkle with 1 tsp of the sage mixture and 1/3 of the shredded Daiya. Repeat layers. Top with remaining potatoes, sage mixture and Shreds. Stir stock and vegan cream in a medium bowl with wire whisk until well blended. Pour evenly over potatoes. 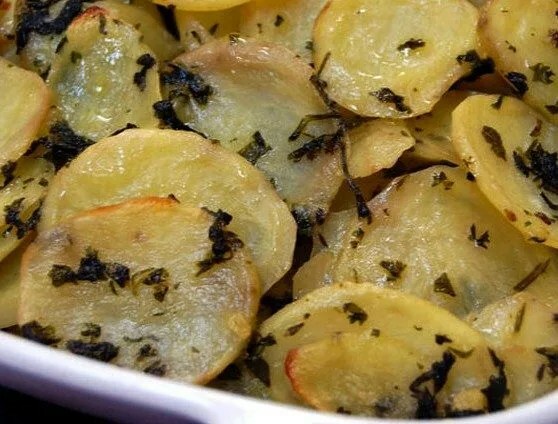 Bake 45 mins to 1 hour or until potatoes are tender and top is golden.